Standing by its reputation as one of the most film friendly location in the world, Morocco offers a very easy film permit system. Movie producers are welcomed by the Moroccan government and have to go through simplified permit procedures and flexible regulations. For any film to be shot in Morocco, an official permit from the Moroccan Cinematographic Center, the film production and government authorization agency in Morocco, is a must. This agency governs all film production in Morocco. Set up in 1944 and recognized in 1977, CCM works in the area of organizing the Moroccan film industry and promoting Moroccan cinema. It also works in promoting Morocco as a top film shooting location in the world. Lately, it has also acquired a host of facilities to perform a number of movie-production activities; the activities include avid editing, sound editing, 35 mm positive editing, and even producing TV films. CCM also maintains a film archive of national and international films. Obtaining a feature film permit: Apart from the request and the application, a shooting form, a copy of the film script, a credentials letter, and a list of Moroccan technicians are required. The permit should be applied for at least two weeks before the actual shooting date. 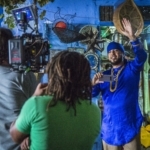 Obtaining a permit for a short film, documentary film or a video clip: Apart from the request and the application, a script copy or topic summary (in case of a documentary request), the singer’s and/or the band’s name (in case of a video clip request), the list of Moroccan technicians, and the shooting schedule with the exact locations are required. The permit should be applied for at least a week before the shooting date. 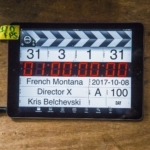 Obtaining a permit for a commercial: Apart from the application, an order note in the name of the local advertiser (in case the advertiser is local), the list of Moroccan technicians, the shooting schedule with the exact locations and a credentials letter for an executive production are required. The permit should be applied at least five days before the shooting date. At Morocco Film Production, we make your filming in Morocco experience easy and enjoyable. We not only help you in arranging the permits but also expedite the process. Apart from providing you with speedy film permit in Morocco, we offer you the opportunity to receive the services of the best film production companies of Morocco and that too at the most competitive rates. With a vast network of renowned CCM certified film production companies, your partnership with us is bound to give you great value for money. Let us suggest you the best companies providing services at unbelievably competitive costs. After you have selected one of the production companies see your production going through effortlessly.